Speaking as we have been in recent weeks about what to wear outside of a suit – and indeed what to wear with jeans – I thought it interesting to show this Cleverley client, Jason Statham, wearing bespoke chukka boots with jeans recently on Jay Leno. 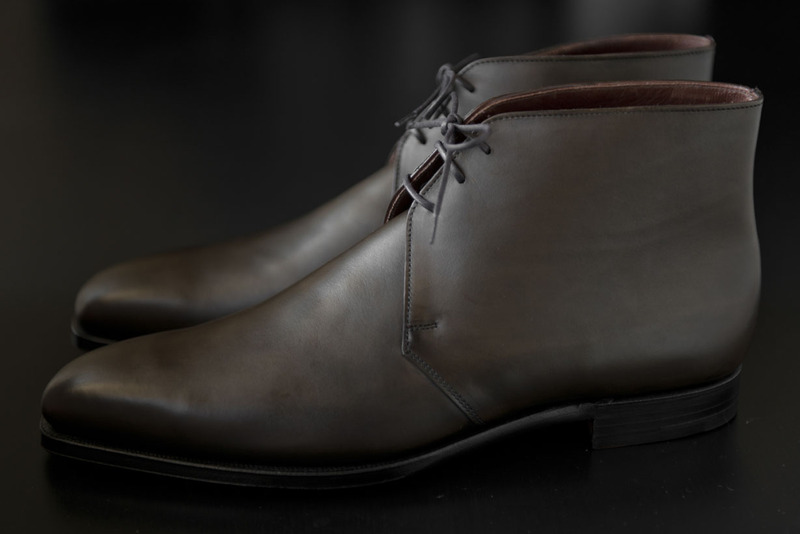 If you like handmade or benchmade shoes, but rarely wear formal clothing, then a boot is a good option. You get all the beauty and benefits of bespoke but without the formality. Other good options are suede shoes or slip-ons. Indeed, with bespoke slip-ons or boots, you get the added bonus of great fit around the ankle – something that can be very difficult to find off the shelf. As with the waists of jackets and knitwear, the ankle on a shoe is often made a little bigger than the average man requires because he may not notice if it is too big, but certainly will if it is too small. Nice shoes, and great with jeans. Jason’s outfit overall is also pretty good, with a casual-weave jacket in the pale grey we were discussing last week. Most men would benefit from a collared shirt underneath it, however, rather than crewneck knitwear. You can follow the discussion on Cleverley chukka boot – casual wear by entering your email address in the box below. You will then receive an email every time a new comment is added. These will also contain a link to a page where you can stop the alerts, and remove all of your related data from the site. A good look from Jason there. These chukkas are very similar in shape and colour to my Crockett & Jones Tetburys. They are a great wear with jeans and are among my favourite shoes. A t-shirt with a suit jacker, espacialy when combined with forgoing shaving for a few days makes everything look trashy. A Rolls Royce in a run down trailer park does not elevate the park, it diminishes the Rolls. These looks great with jeans. Nice post! Some great looking boots there, for sure. Nice shoes indeed! Their color also happens to be one of the most versatile. As to the overall outfit, I agree, a collared shirt would have arguably made a great difference. Peronally, I would have tilt toward a white or pale blue one. Worth remembering in matter of shoes fit is your remark about the ankle, that is, bespoke vs benchmade. 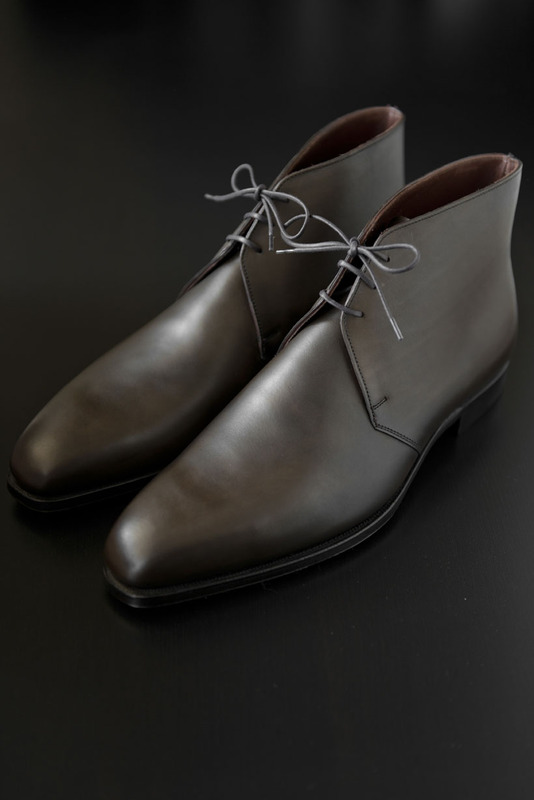 Once again, and I saw these yesterday in the WSJ, Cleverly takes a typical shoe and turns it into a knockout pair. The craft is truly outstanding and this “casual” style could easily be worn with simple jeans or a bespoke suit. Excellent job!